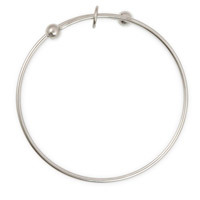 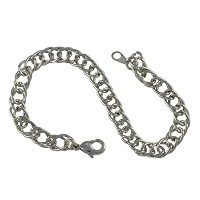 This 6-7" Silver Plated Bracelet cuff has a 2mm (13 gauge) thickness and is perfect for adding charms or large hole beads to make your own Pandora-style bracelet. 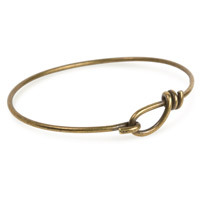 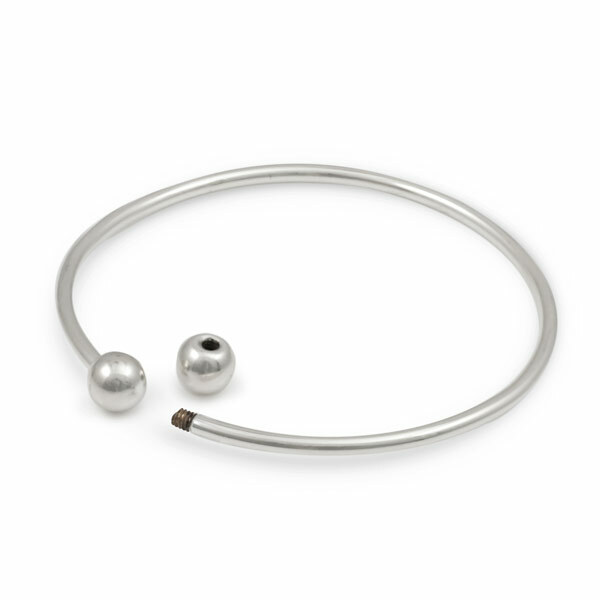 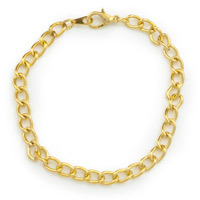 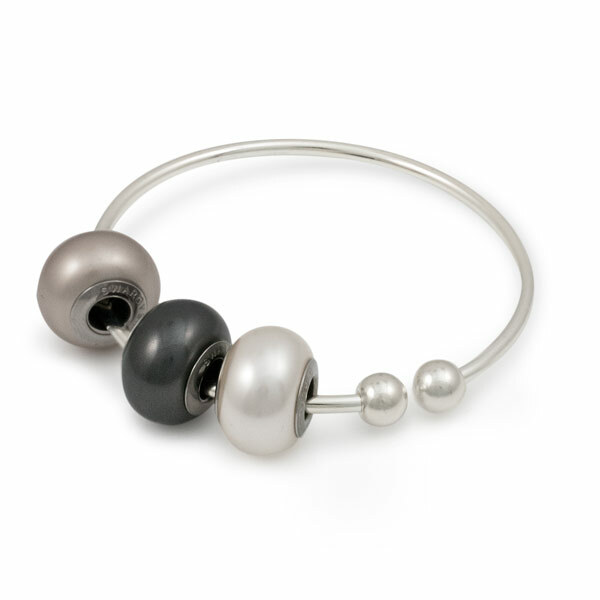 The bracelet has 6mm ball ends that easily unscrew to allow you to quickly and easily add your own findings. 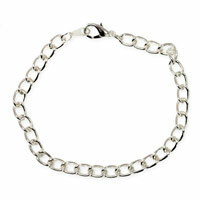 Q: What size bead to use for these bracelets? 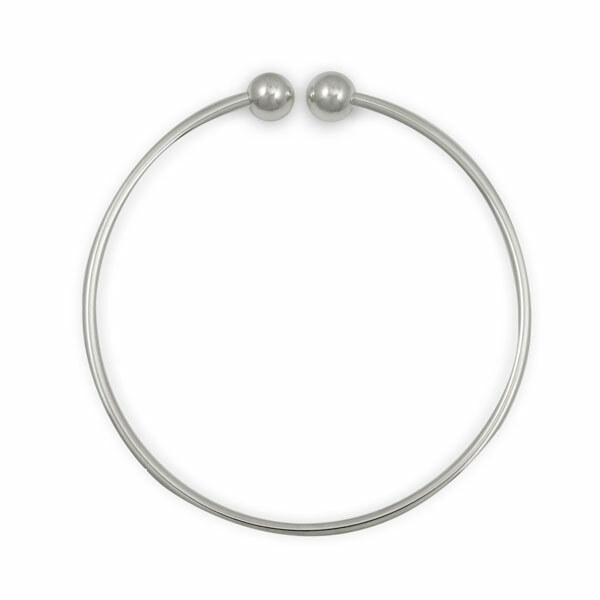 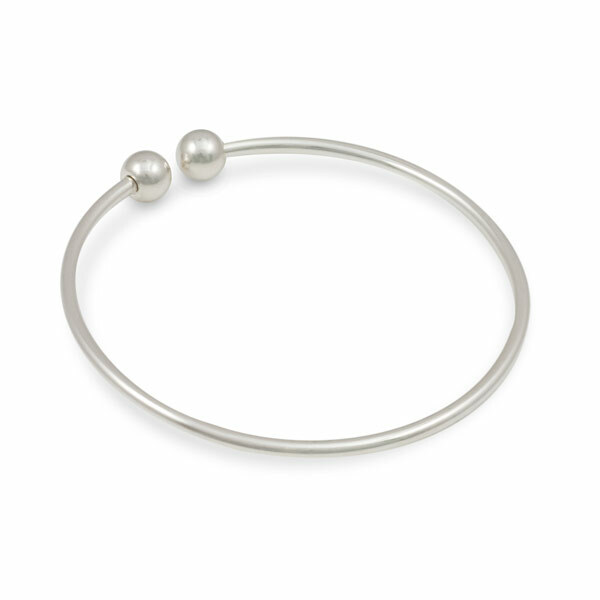 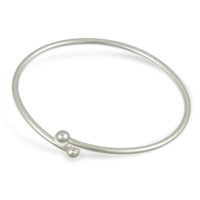 A: Any bead with a hole size of 2mm or larger will fit on this bracelet. 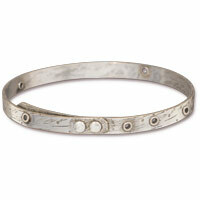 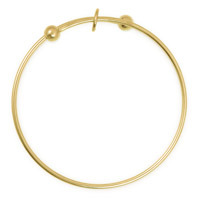 We do have a large selection of large hole beads on our website.